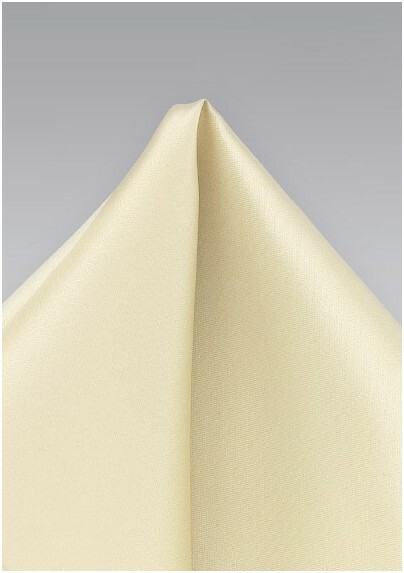 Create a naturally handsome look by accessorizing your blazers with this graceful and elegant solid hued pocket square in Champagne. The high end shade is guaranteed to compliment any menswearcolor that it is paired with ranging from whites to blues to blacks. Champagne is one of the season's hottest hues because of its sophisticated vibe. We love to see this paired up with dark toned textured tweeds. 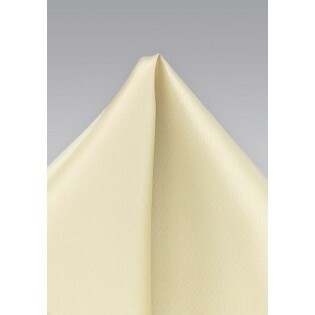 Made from a durable and functional microfiber.